Combines the professions of chiropractic and physical therapy. 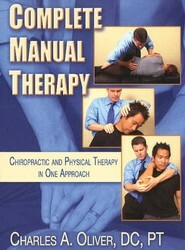 This book offers many techniques of physical therapy, including strain-counterstrain, myofascial release and therapeutic exercise. It presents the chiropractor's view of musculoskeletal dysfunction along with many techniques he/she can implement into practice.